The reputation of a licensed alcohol-serving establishment relies heavily on the people who deal directly with the customers: the servers. Servers can most closely monitor an individual's amount and rate of consumption. 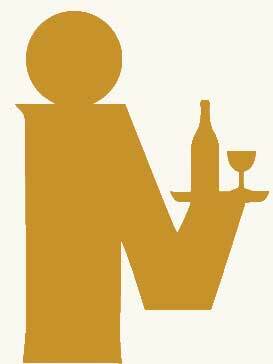 Therefore, as the alcohol server, you are the key to the prevention of excessive alcohol consumption. The Pennsylvania Liquor Code makes it illegal for a licensee, employee, or any other person to serve or sell alcoholic beverages to visibly intoxicated persons. The licensee and/or server may be held administratively and criminally liable and may face fines of up to $5,000. The licensee and/or server may also be held responsible under Pennsylvania's Dram Shop Laws. These laws hold licensees and their employees liable if they sell alcoholic beverages to a visibly intoxicated person who then causes death, injury, or property damage. Dram Shop cases have resulted in verdicts rewarding substantial amounts of money to those parties.